The 62 year old retired general led a military takeover that forced former president Robert Mugabe out of power in 2017. 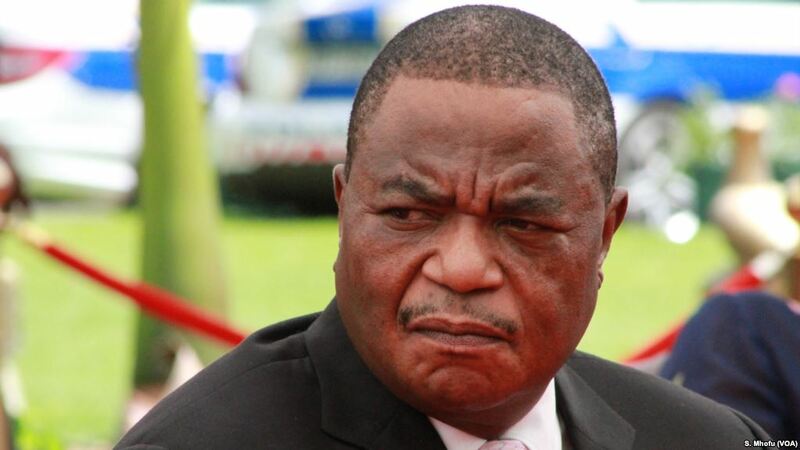 Zimbabwe’s Vice President Constantino Chiwenga has returned to South Africa for what local media reports is emergency medical treatment. The former military general fell ill last week, according to local privately owned newspaper NewDay. Chiwenga fell sick after attending a meeting and visited a local clinic called Avenues Clinic in the capital Harare. He was however airlifted to South Africa for further treatment over the weekend. There are no clear details about his illness yet. The government in October last year said Chiwenga was being treated for injuries he sustained during liberation war in the 1980s. Chiwenga has however said publicly that his visibly swollen hands and discoloured skin are due to poisoning. He however travelled to South Africa for treatment last year for injuries sustained in an explosion at a rally ahead of the 2018 general elections. He is considered a backbone of the current government led by President Emmerson Mnangagwa. Last week President Mnangagwa has denied reports of a rift between him and Chiwenga. There were media reports of a coup plot last month when anti-government protests were staged while Mnangagwa was out of the country. Mnangagwa said there was no evidence of a rift between him and Constantino Chiwenga. “I have known Chiwenga and his colleagues [in the military] since the struggle years. We are comrades and understand each other better than you think,” Mnangagwa is quoted as saying.